A verdant French valley, as rich in summer as it is in winter. 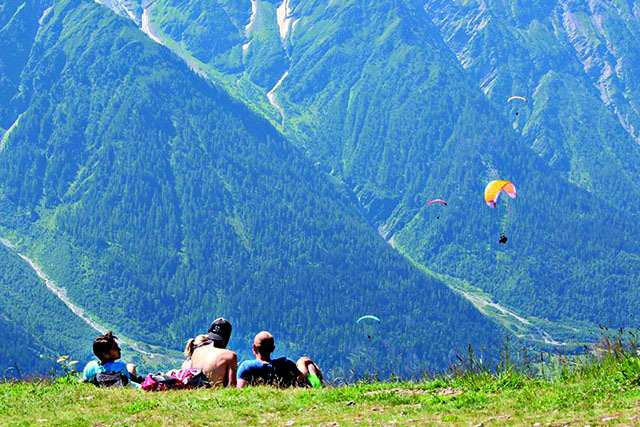 Chamonix is best known as a bustling Alpine ski town. During winter, snowfall and après-ski festivities attract lots of tourists. But this French valley is equally impressive in the summer. 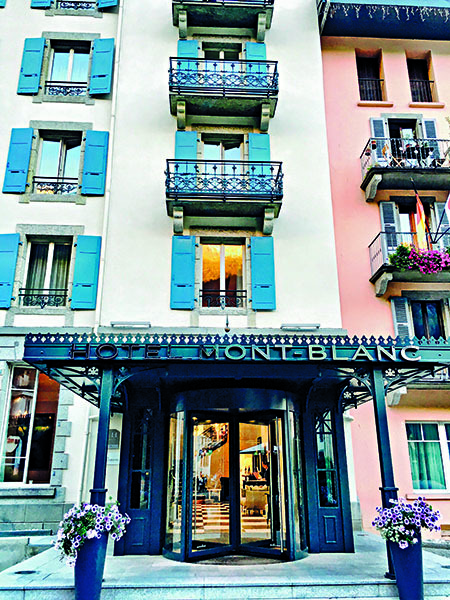 I arrived at Chamonix late at night, having taken a short bus ride from the airport in Geneva. I checked in to the friendly and well-priced International Ski School and got my head down early, to ensure I was fresh enough to go exploring the following morning. I awoke to one of the most impressive vistas I have ever experienced. The first light of day only managed to crest the tops of the gigantic peaks surrounding the valley some time after sunrise. But when it did… wow. I was in awe of the powerful spectacle before me. The slopes of the Mont Blanc massif rise in incredibly close proximity to the town of Chamonix, directly from its southern border. They make their way sharply skywards, where a brushstroke of white separates the steep, awe-inspiring grey slopes from the bright blue sky. These pristine, snow-capped peaks have lured so many adventurers. The town itself feels like it’s part of the mountain. But when you’re done sizing up the peaks, figuring out where the best trail-running routes are, you’ll discover it’s an energetic, colourful, clean, and exciting place in its own right. At the same time as I was in town, the Ultra-trail du Mont-Blanc® – the most prestigious trail-running event on the global calendar – was about to take place right there. There were thousands of people there, either to run the race, or to support a loved one. In the build-up to the weekend’s main event, mountain lovers were taking part in shorter iterations of the big race. 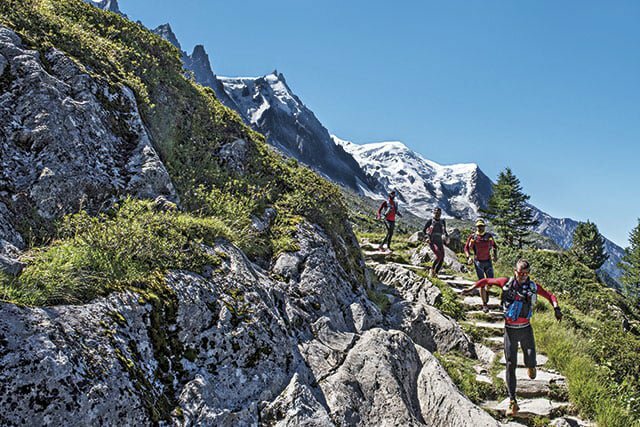 But there were also a large number of people who weren’t there for UTMB® at all – they simply wanted to experience one of the many mountain activities on offer, and enjoy the beauty of the bright, fresh scenery. During my very first stroll to the perimeter of the town, I passed a fully-equipped, open athletics track, and headed towards camping sites dotted with tents and camper vans. I noticed how healthy-looking the older locals were – probably because they’re often out and about, mixing it up with a younger crowd. I encountered many groups of women who must’ve been in their 70s, traipsing their boots towards a ski lift or a mountain trail with definite purpose. They looked confident and experienced, and in their eyes there was the sparkle of adventure. Grabbing fresh fruit, cheese and bread from a basic supermarket, I headed for the trails. Taking on challenging, steep and unforgiving singletracks proved as tough as I had imagined. But eventually, the trees parted to reveal the magnificent mountain range. At the top, I chanced upon a glacial lake, in which I went skinny-dipping. It was easy to see why Europeans – of all ages – keep coming back to what a travel buddy of mine referred to as ‘the Disneyland of trail running’. But despite the popularity, once you’re on the mountain there’s no sign of congestion. 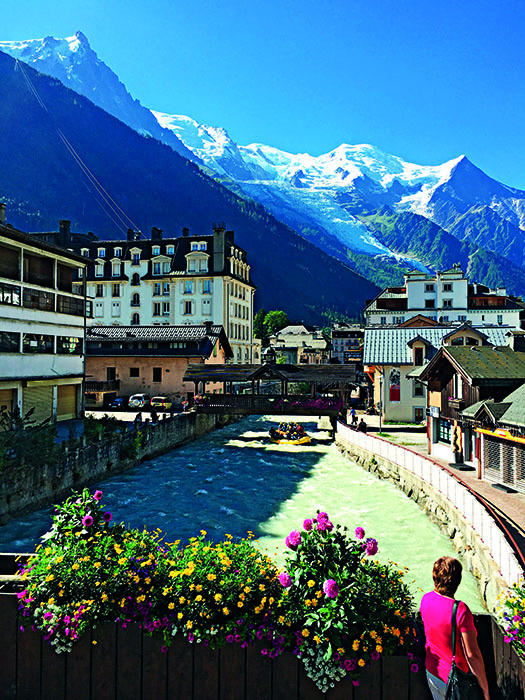 I loved the mountains, but there was just as much adventure to be had in the streets of Chamonix – starting with food: the lure of delicious cheeses, and heavy artisanal breads that would break the diet of even the staunchest of Banters. Not to mention ice-cream flavours so glorious, I couldn’t help but plan a second visit later on in the day. 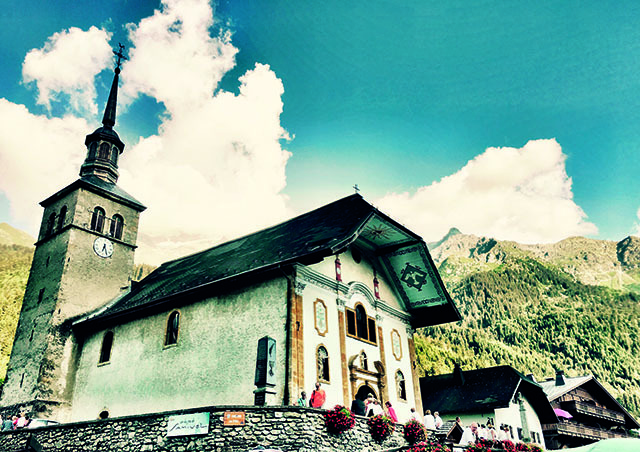 Courmayeur is a charming Italian town close to Chamonix. Navigating its winding streets, I came across a picture-postcard chapel. On closer inspection, I realised there was a wedding taking place inside. I love the fact that, in these small European towns, many of the residents come to wedding ceremonies to pay their respects – and satisfy their curiosity. Whispering old ladies sat patiently on a wall outside the church until the newly-weds emerged, from behind a heavy door – which was probably even older than the geriatric onlookers! Then, chiming bells celebrated the joyous occasion. I approached the ornate chapel, curious as to what newly-married French people would look like. Nobody batted an eyelid when I joined the gathering – so much so that I considered gate-crashing the wedding party, to sample some French wine, a slice of wedding cake, and perhaps even try my luck with a bridesmaid! Instead, I decided to indulge in gooey cheese at a roadside bistro. From my vantage point, I was able to continue my people-watching. In the days that followed, I visited the famous Chamonix climbing wall, which is part of the Climbing World Cup circuit that visits the town annually. I also got hooked on the idea of paragliding. It was hard not to, once I’d witnessed them launching in their hundreds from the lush green slopes. They rode the warm thermals to the snow-capped mountain-tops, and then drifted back down into town. Soaring high above the peaks, the paragliders had the best view in the house. Lufthansa and Swiss International Airways fly directly to Frankfurt and Zurich, and from there it’s a scenic train ride to Chamonix. Or on Emirates, fly via Dubai to Geneva, followed by a short bus trip. Burgers and beers at Elevation 1904 was our staple every evening. The staff were friendly, we met fellow travellers, and the prices were great. For dessert, the gelato we bought from street vendors and stalls never failed to impress. AirBnB has really taken off in Chamonix. You’ll find an abundance of houses, hostels and small hotels. 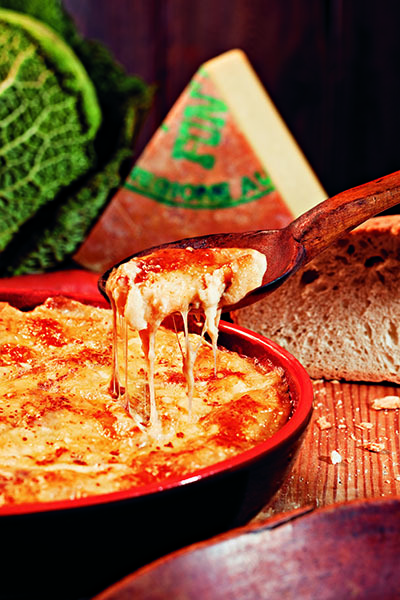 Climb the wall; indulge in a wedge of fresh, gooey cheese at a market on Saturday morning; ride a ski-lift to the glacier and camp on the side of the mountain.